…Not really, but these fan-made teaser posters by Josh McMahon are pretty rad none the less. 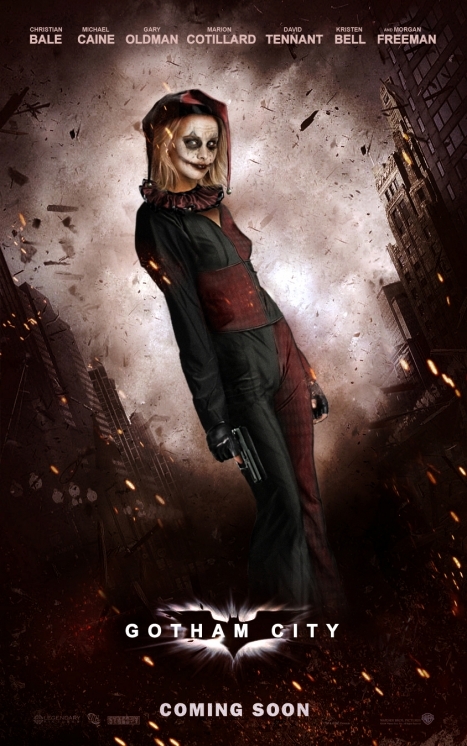 I don’t have much of an opinion on his casting of Kristin Bell (though I think her voice on Gossip Girl gets grating), as Harley Quinn, but I would be effin thrilled at the prospect of the character appearing in the upcoming Dark Knight sequel. 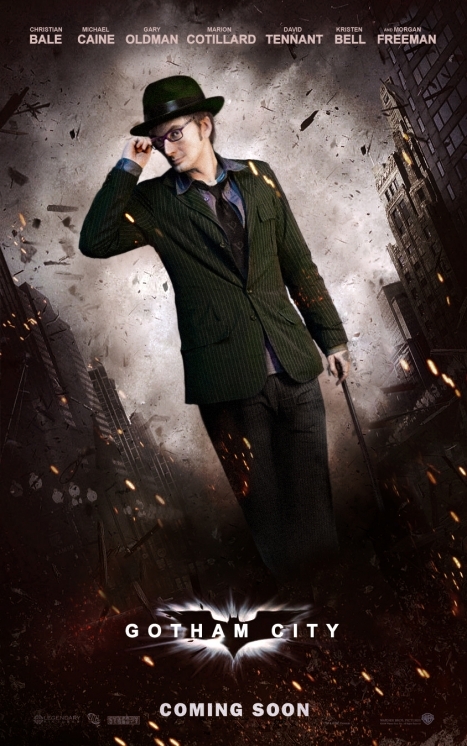 As a Doctor Who fan I am in love with the fact that Josh has cast David Tennant as The Riddler. The fact that David is complete eyecandy doesn’t hurt any. Also see Marion Cotillard (of La Vie en Rose fame) as The Catwoman. And Yes, Unicorns like boys in glasses too.